According to a statement issued by the US Air Force's 1st Special Operations Wing Public Affairs office, a CV-22 Osprey, assigned to the 1st Special Operations Wing, crashed at about 6:45 p.m., 13 June 2012, on the Eglin Range, north of Navarre, Florida. There were five crew aboard during what was described as a routine training mission. All were taken to local area hospitals. Three of the crew were flown and two were transported to emergency care by ambulance. To learn more about the V-22 Osprey and the technology behind this capable yet controversial aircraft, be sure to watch our exclusive video documentary, Tiltrotor and the Future. 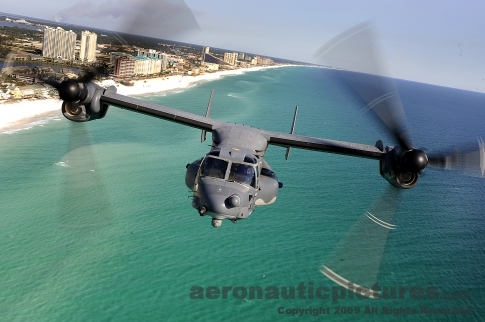 See the free trailer here: V-22 Osprey Video.